14th April 2015, London: LoopMe, the world’s largest mobile video Demand-Side Platform, today announced that it has signed partnerships with three of the largest global app developers, all of which originate from China: Cheetah Mobile, Sungy Mobile and Baidu, to supply its native video ad formats globally. This is a major milestone and LoopMe now has partnerships to place mobile video with seven out of the top ten global app developers including Facebook (LiveRail), Google (AdX), Microsoft and Outfit7. 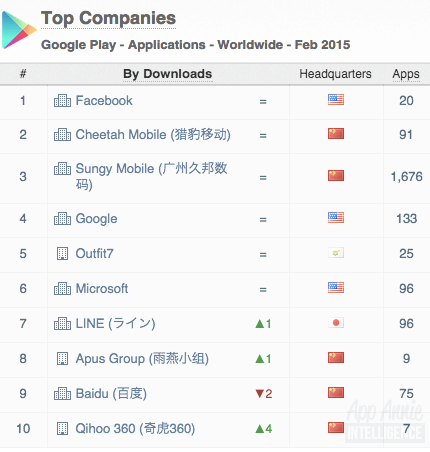 This collectively gives LoopMe access to apps with over 10 billion global downloads. The company believes that native video advertising will be worth over $100 million in revenue to LoopMe over the next 2 years with huge potential from these new partnerships. LoopMe is the largest mobile video DSP, reaching over 1 billion consumers worldwide.